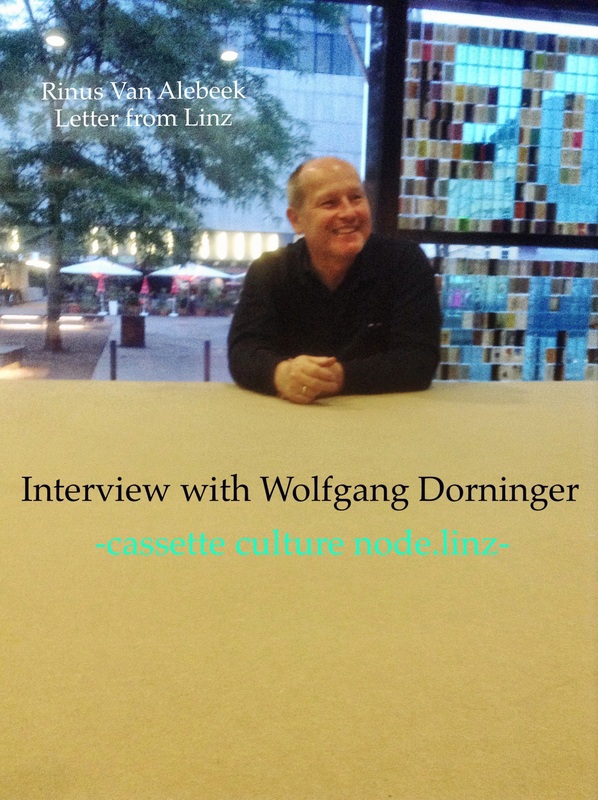 Wolfgang Dorninger, resident of Linz, teacher, musician, sound designer, veteran of the cassette culture days sets up an exhibition that he never had thought of in his life. I (=Rinus Van Alebeek) spent some days at the exhibition. I give a short description and then talk with Wolfgang. I starts of with a visit of the firemen to his home and ends with words of hope. In between we talk about the past, the experiences, the stories of friendship and touring the USA. We talk about the present, the identity, outside the institutional circuit. We talk about the future, the local scene in Linz and how this connects to any other local scene worldwide.